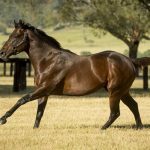 The very first sale conducted at the new Riverside Stables complex at Warwick Farm, the 2018 Inglis Classic Yearling Sale Book One and Two proved a resounding success for Widden Stud with 33 yearlings selling for $2,238,500. Our top seller (pictured) was a Rubick colt from Honeymoon Cruise that fetched $290,000 when bought by Worldwide Bloodstock out of the prestigious Gold Riband session of this sale. 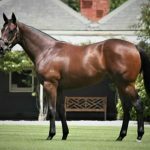 The star colt is from a half-sister by Fastnet Rock to the 2017 Group I HK International Sprint Stakes winner Mr Stunning. “The Rubick colt from Honeymoon Cruise was a particularly popular colt who we offered on behalf of Bangaloe Thoroughbreds,” Widden Stud’s Ryan McEvoy told ANZ Bloodstock News. “With the appearance of Hong Kong superstar Mr Stunning in the immediate pedigree it ensured he was a sought after colt. Widden Stud based sires also made their mark at Classic with Zoustar the third leading sire by average with five yearlings averaging $174,500. McEvoy Mitchell Racing Pty Ltd paid $340,000 for his filly from Special Favour that was consigned by Rosemont Stud. She is the second foal of Special Favour, a winning daughter of Group II winner My Tusker from the family of Melbourne Cup winner Brew, $3million earner Fiumicino and Group I winning juvenile Sacred Elixir. Star Witness had 19 yearlings sell for up to $210,000 with his top selling filly from Italian Alps bought by Lindsay Park Racing from Golden Grove. 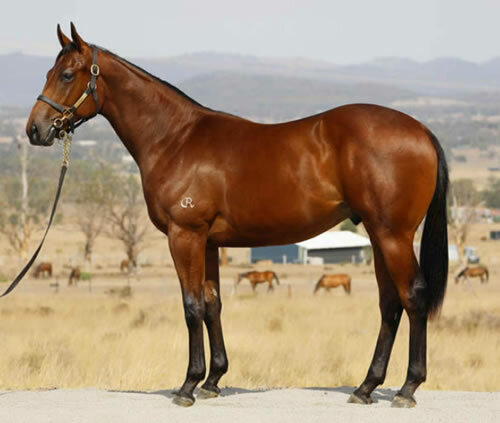 Sebring had six yearlings sell for up to $180,000, his best result the filly from Antique Rose that was bought by Star Thoroughbreds/ Chris Waller Racing from Holbrook Thoroughbreds. Nicconi had nine yearlings sell for up to $175,000 with his best result a filly from Cara Blanca that was offered by Holbrook Thoroughbreds and bought by Henry Dwyer Racing. Your Song had 10 yearlings sell for up to $90,000 with his top seller the filly from Moti offered by Bowness Stud and bought by Cameron Cooke Bloodstock.